Kids are curious and every single day is a new chapter of their journey to understand the world and learn new things about everything in it. As you can see here, children can easily confuse any adult with something as simple as guessing their age. The kid is just randomly guessing numbers while the adult person wonders why did the kid come up with these numbers exactly. We already mentioned that kids have a lot to learn and it is especially funny to have a conversation with them while they are still toddlers. This is the period of their lives when they want to know everything and sometimes even act like they know it all! It seems that this girl has something to learn about the concept of dying and the rituals people have after such a thing happens. 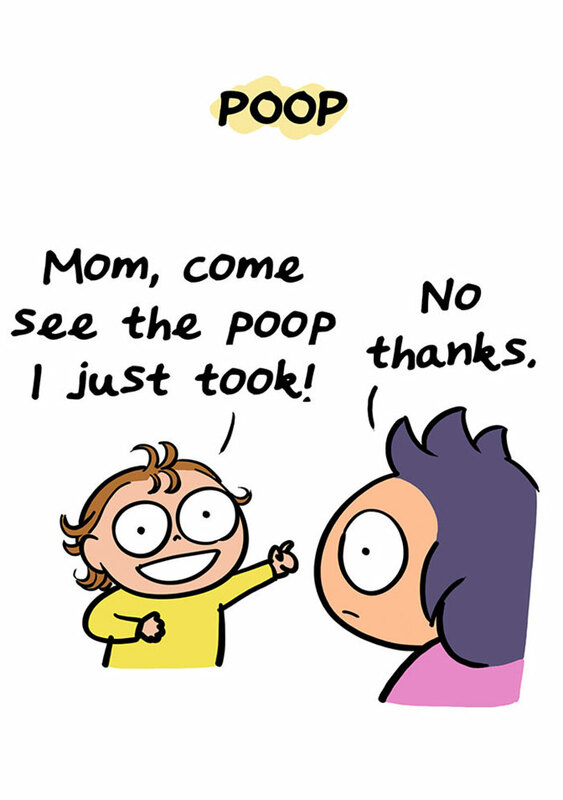 Toddlers consider even minor and insignifficant things to be a lot more important than they actually are, which is why they constantly bother their parents for literally no reason at all. The following situation is one of the best and most common occasions that most parents would probably immediately relate to! Waking up at night is bad, but when your toddler wakes you up to tell you something happened is even worse! Apart from worrying what happened ,you will likely be forced to clean up some kind of mess. 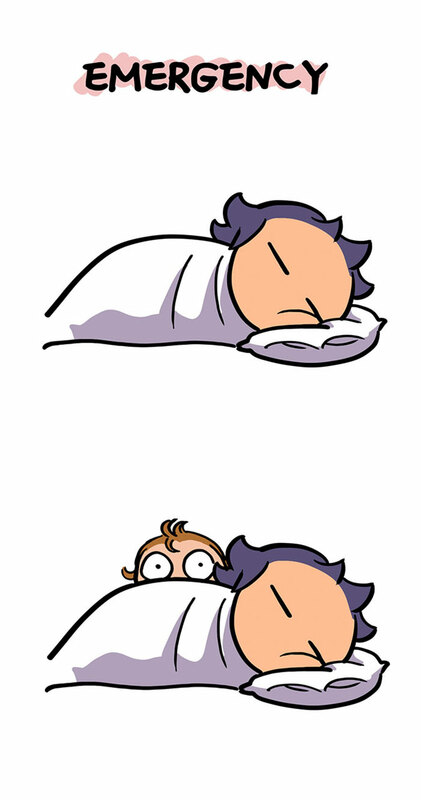 This comic proves that having a good night sleep would become a thing of the past when you have kids. Pooping is an everyday activity and one of the normal body activities of every person. However, kids find everything to be more or less fascinating when they are still learning new things, so this is one of the activites they feel they need to share. 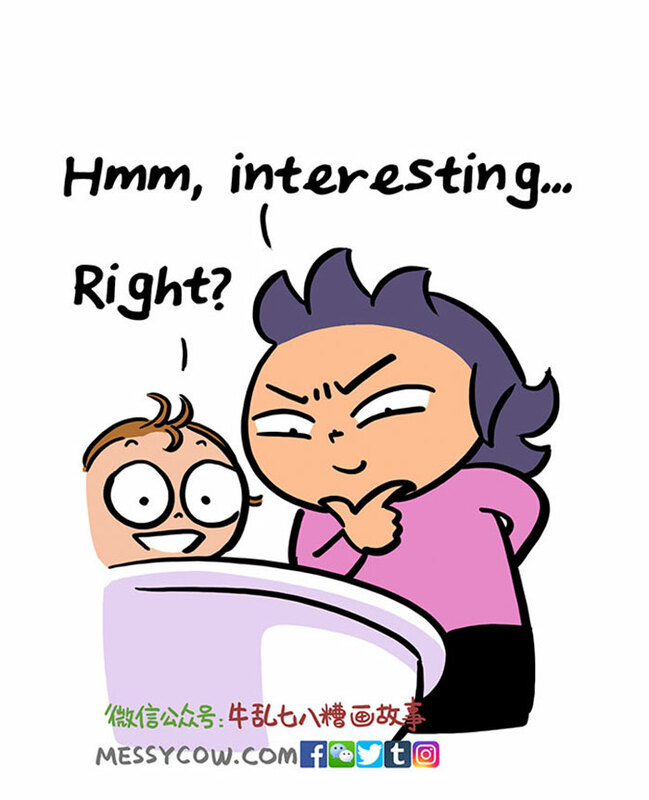 In this case, the toddler thinks that it is ‘interesting’. Despite the fact that it is kind of gross, it can actually show you different things. Examing it can actually reveal some kind of a symptome that is otherwise invisible to the naked eye. For example, it can show signs of an eating disorder or an inflammation. You should definitely furnish your house considering all the possible safety standards when you know that you are about to have a kid, because toddlers are curious and they are able to crawl and climb literally everywhere if they decide to explore or search for something in particular. In this case, the child was looking for food. After finding out that there was no food at home, the kid made the decision that mom should immediately go shopping! If you think that kids are not the bosses of every home, you should think again! Even though they do not command their parents’ every move, they are still the most important residents of the house and everything revolves around them. As we already mentioned, everything in the family revolves around the kids, which can sometimes be a bit of a problem. Some children become self-centered, and if you notice that your toddler is acting like that, you need to teach them about sharing, compassion and being kind. One other issue is trying to control the sweets intake. 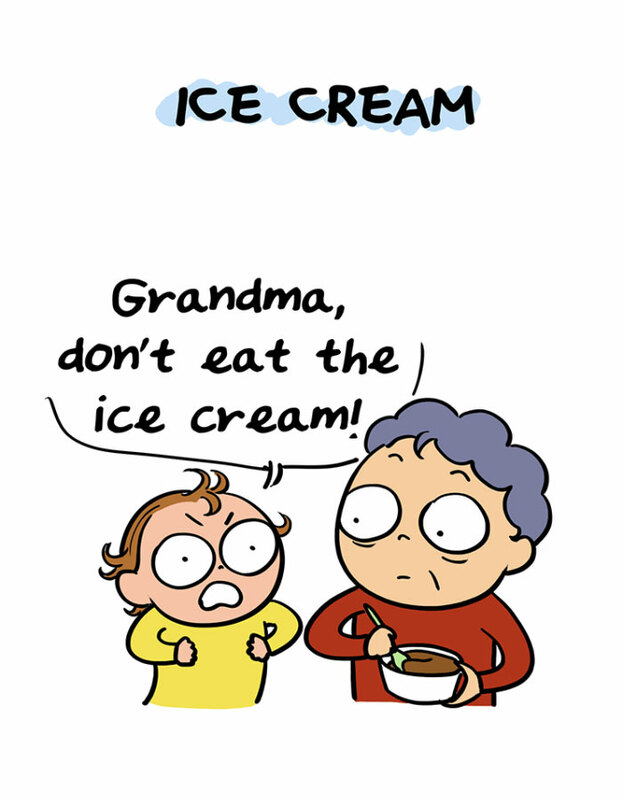 Ice cream is probably the number one product on that list. Here is one sweet episode that the artist documented. It shows just how innocent and sincere kids are, and this kind of purity is not typical for the adult world, which is a sad fact, of course. There is nothing better than seeing how your kid shows their love for you in the purest possible way! It is the thing that can warm your heart like nothing else! 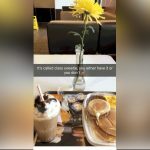 Just when the mother enjoyed the beautiful compliment, the whole situation changed in an instant! The mom explained that she just wanted to look younger and this was the reason why she applied makeup, but the toddler was sincere and told her the truth! It is only normal that the mom became furious! Every parent knows that a time comes when kids should learn to sleep alone, but putting them to sleep requires a lot of effort and persuasive tecniques. Of course, they only work in some cases. Most often parents need to stand their ground and accept the crying and the sobbing of their kids. This is the usual reaction when a toddler realizes they should sleep alone. After you decide to leave the child to calm down and go to sleep, in most cases it doesn’t happen the way you would expect! As you can see, toddlers are always able to get what they want, one way or another. In this case, a simple manipulation was more than enough! In some cases people start paying too much attention to their roles as parents and they eventually create a distance between themselves. Both partners in every couple need each other’s attention and this is a vital part of their relationship. This is why people who have kids need to remember that keeping the flame between them burning is a must! Children understand everything in their own way and they feel every situation. This is why what we mentioned above is super important! When a toddler feels the love their parents have for each other, it gives them an example that will stay with the kid for many years to come. Observing the relationships at home shapes every child’s character. Moms have a tough agenda for many years in a row. After giving birth, they need to look after the kids and also to take care of the household, not to menton the career many mothers pursue while trying to balance everything else. When you add all of this to the natural aging process, every mom would eventually feel tired and she would start seeing the signs of aging that were not there before. This is a normal part of life, but it is hard to accept. 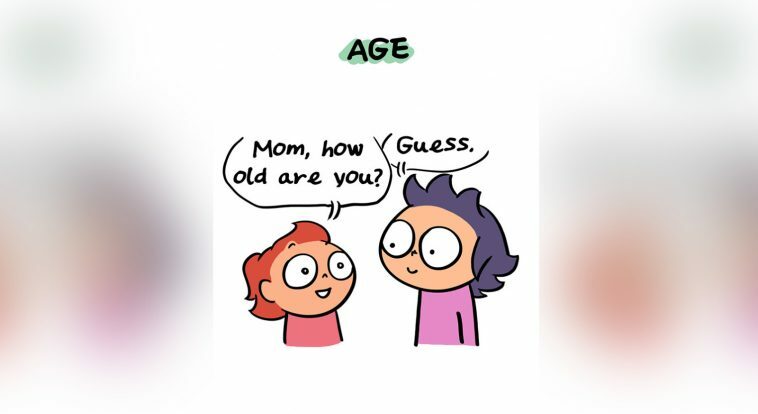 The moment that was told by artist via this comic shows how a single selfie can make a mom realize she is getting older. This is the time when a few kind words could change everything! When these words come from your own child, the feeling is the best in the world, and age matters no more!